Pre-drilled to mount on ROHN Top Cap R-45AG4, R-BPL45G and R-BPL55G to support up to 3.00" O.D. Mast. ROHN AG4 Top Cap Sections and Bearing Plates are Pre-Drilled to accept the AB, TB3 and TB4 Thrust Bearing. The Rotor can then be Mounted on Accessory Shelf Below. 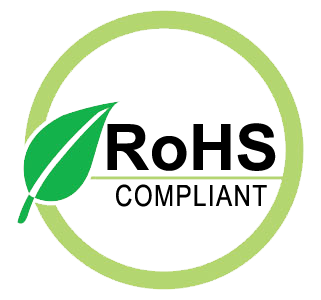 The holes accept a 7/16" bolt, and are 5-3/8" center to center across the diameter. Not intended to be mounted onto R-AS455G Accessory shelves. 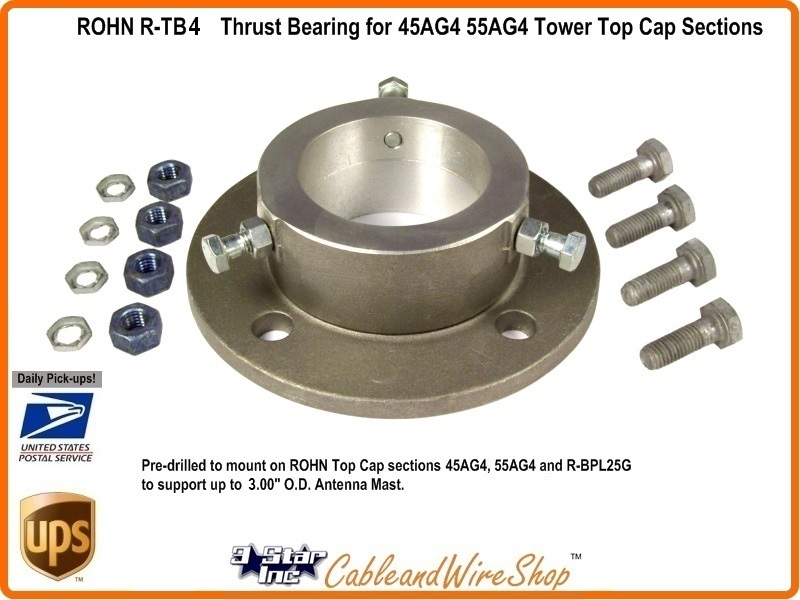 ROHN Produces this Heavy Duty Thrust Bearing specifically for the 45G Tower Top Cap Sections as well as 45G and 55G Bearing Plate Assemblies like the BPL (Pre-Drilled for Acceptance for Antenna Mast Mounting Applications up to 3.00 inch in Outside Diameter). American Steel... Buy ROHN, Buy American.